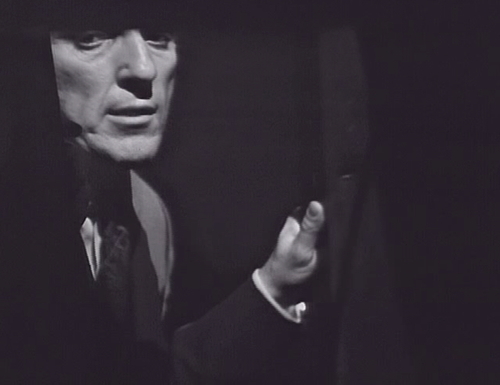 Previously, on Dark Shadows: Huge awesome surprise cliffhanger, with the kidnapped and mostly-hypnotized Maggie sneaking out of the Old House, and showing up right outside her father’s window. Today, the still-surprising but mostly-confusing resolution: All of a sudden, Maggie is wandering around in the Eagle Hill cemetery. Which means they’re really just making this up as they go along, just like Lost and The Hunger Games. And speaking of lost, here comes Sheriff Patterson, who looks more like a kicked puppy every time we see him. Patterson: I got here as soon as I could. Sam: Well, it wasn’t quick enough to suit me. 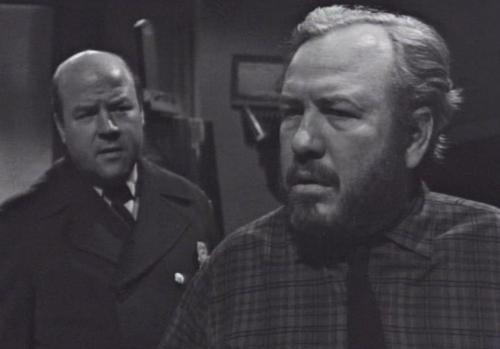 Patterson: I had to round up some men! If she’s anywhere nearby, we’ll find her. Patterson: Well, why don’t you stop arguing with me? You’re the one who’s wasting time. Which just breaks your heart, doesn’t it? It’s like Sam doesn’t think that sheriffs have feelings. Several apologies later, the sheriff gets down to business. Patterson: All right. Now, tell me just what happened, exactly the way it happened. And then the next two and a half minutes just fly by. Police officers are like God’s gift to soap writers; they’re a blank check to recap as much as you want. Sam: Then we came back in here and called you. Patterson: And did I show up? Okay, he doesn’t really say that, but he might as well. As long as we’re recapping right up to the minute, why not go all the way and recap the recap? 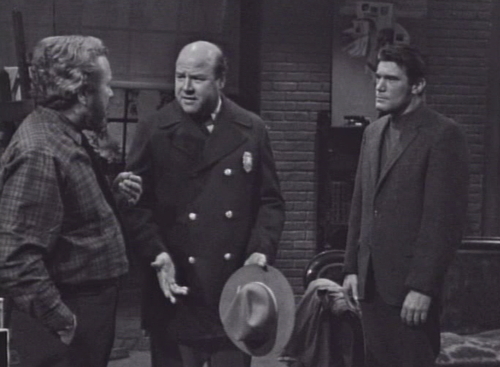 Patterson asks if Sam was drinking tonight, and Sam sputters, “You’ve got to believe me!” — a sentence that becomes an important catchphrase later on in the series. Okay, back to the cemetery for an important question, namely: How the hell did Maggie get here? It’s not like she’s particularly inconspicuous. She’s the Local Girl who Mysteriously Disappeared. The police have looked everywhere and talked to everyone. And yet, somehow, she walked from the Collinwood estate all the way down the hill to her father’s house, wearing a bright white wedding gown and holding a pipe, and attracted no attention at all. What are people doing in Collinsport that they’re too busy to notice that? Then, apparently moments later, she was transported to the Eagle Hill cemetery, which is five miles north of Collinsport. I’m not even sure that she’s wearing shoes. But Maggie wearing that gown is such a great visual. She wears that dress for weeks, and it’s totally justified. She’s beautiful, and the dress is fantastic, and every scene that she’s in is instantly fun to look at. She is the living embodiment of the Pretty Girl in Peril. And now she’s being manhandled by a vampire, and dragged into his family’s mausoleum. He’s put out because she tried to run away, so he has to punish her. Sure, and if you can keep it up for another twelve minutes, we could kill the whole rest of this episode. But then there’s a sequence that makes all of the recap scenes worthwhile. Maggie faints, and Barnabas picks her up and carries her through the hidden door into the secret room, where Willie found his chained coffin two months ago. Then there’s a bit of a long pause, because the next couple shots are complicated, and they’re recording this live-to-tape. It was very expensive to edit videotape at the time, so if they wanted to do a special sequence like the one they’re about to do, then they had to set it up so that they could do the whole thing in real time. 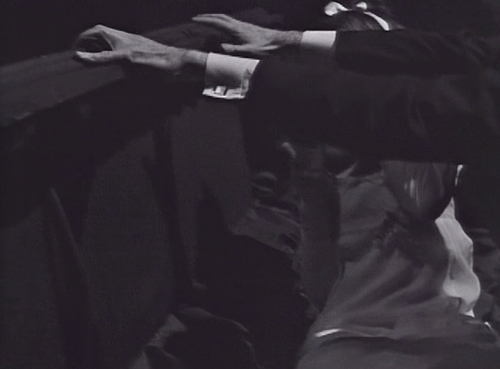 Then — Barnabas shutting the coffin lid, seen from Maggie’s point of view. Which is lovely. That’s the kind of thing that I like to point out in these episodes, because it’s tempting to just poke fun at the slow plot development and the actors reading off the teleprompter. This sequence proves that they’re really trying to do something more ambitious than any other daytime show. They could easily have just done a normal shot of Barnabas closing the lid on Maggie, and it would have been fine. Nobody would have expected anything more. But instead, they took the time to set up that sequence, with two different coffins and a stand-in for Barnabas. And that was just for a commercial break; it’s not even the end of the episode. Therefore: This is the best television show of all time. Okay, maybe not, but at least they’re not being lazy about it. When the sun rises, Willie rescues Maggie from the mausoleum, and brings her back to the Old House. 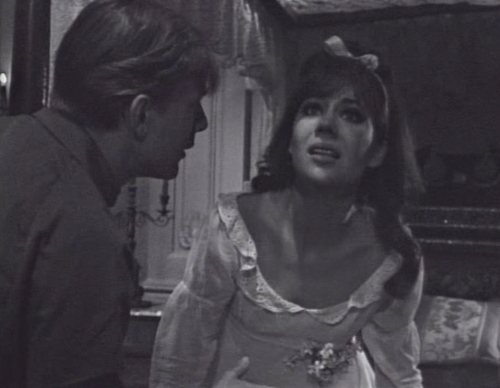 Barnabas won’t be happy, obviously, but Willie’s developing a conscience, and he can’t stand to see Maggie being tortured. Maggie is horrified and confused, struggling to figure out whether this is real or a dream. Willie tries to soothe her. Willie: Listen to what I have to say. Runnin’ away was a mistake, a bad mistake! Willie: You can never get away from him. He’ll never let ya. And if ya try to get away, he’ll punish you again. And you don’t want that, do ya? He’ll make it worse. Willie: Okay. Then do what he wants you to do. Be what he wants you to be. You’re Josette Collins. This is incredibly creepy and deranged advice, but Willie is actually being very sweet. Over the last two months, he’s entered a nightmare hellscape that he knows he can never escape. But he wants to help Maggie — and within the boundaries of that twisted world, this is what “help” looks like. Willie knows that Maggie is doomed, that she has no chance of surviving this experience. But he’s defying Barnabas, risking his own life, to keep her safe for as long as he can, even if that’s only for another hour. Like the show itself, Willie is damned, and hopeless. But he’s trying anyway. So: yeah. Best television show of all time. It just is. Tomorrow: That Room with Those Things. When Barnabas is manhandling Maggie in the mausoleum, he says one of her lines, then gets confused and has to check the prompter. Barnabas: You must come with me. Barnabas: You tried to leave me. You must be punished, Josette. Barnabas: I dislike having to punish you, but you must come. Barnabas: You must learn to… never leave me. In yesterday’s episode, we saw Barnabas’ coffin in the Old House basement. So where did the empty coffin in the mausoleum come from? Sam asks the Sheriff, “Have you tried the graveyard? You know, the one up by Eagle’s Hill.” It’s actually Eagle Hill, although the cast seems to be evenly split on this question. thanks for talking about the coffin sequence. its so easy to not realize what a big deal it was to do something like that back with live-action non-edit video. Barnabas reaches in to grab Maggie’s throat, and we clearly see the trademark onyx ring on his index finger. 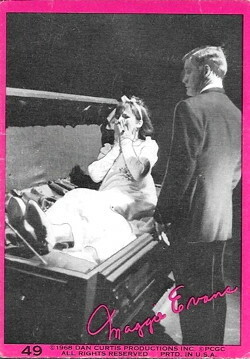 He carries her into the secret room and puts her in the coffin – we see her in the coffin, as ‘his’ arms reach for the lid to close her in…and there is no ring on his right index finger (because the arms belong to a stand in – possibly the man pictured in the trading card series?). Ooh, good catch — I hadn’t thought of that. Yeah, that’s another DS mystery solved. 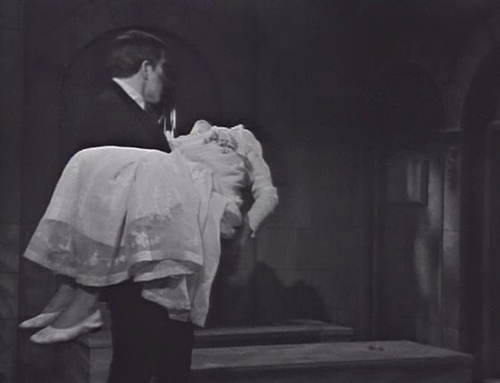 Maggie was indeed wearing shoes–you see them when Barnabas picks her up in the mausoleum after she faints. Of course, they’re hardly good shoes to go hiking around cemeteries in the middle of the night. Another blooper: Sam was talking with the Sheriff backacting and after he says, “she was in a gown,”, a light goes out on their scene. Sam, Burke, Sherriff talking? Rough. Maggie screaming and screaming and screaming at 5 times the volume of the rest of the spoken dialogue? Rough and hard to watch. Coffin sequence was cool, but at this point I’m shell-shocked by all the loud screaming and frankly tired of these two characters being so adrift, Tired of characters playing dumb or arbitrarily changing their minds and motive from episode to episode just to draw things out even more (like Carolyn 2 episodes earlier). Great writeup, especially on Willie. Although I thought he was supposed to retrieve Josette when he did? Did I miss something? Also, isn’t his conscience fairly well developed by now, based on comments by others and his actions? But absolutely yes on Willie’s advice. The irony is that Willie can’t even follow his own advice very well. I wonder if he would have erased himself, if he had had the musical box option back when he was alone. He certainly sees it as a mercy for Maggie.